Blame and the Blizzard -- Is City Hall Looking for a Scapegoat? What's the real reason the mayor canned the EMS chief? Mayor Michael Bloomberg is more equal. The Bloomberg administration has demoted the chief of the city’s Emergency Medical Service -- as city officials investigate how the EMS performed during the blizzard. There is an aroma here of scapegoating -- and only an impartial investigation of what happened can dispel it. The “fall guy,” if that’s an accurate description, is John Peruggia, who held the job for six years. Fire Commissioner Salvatore Cassano relieved the EMS chief of his duties in the wake of what everybody acknowledges was the city’s poor performance in response to the blizzard. Was there a need to make an example of somebody for public relations purposes? That’s what some of Peruggia’s friends and associates believe. The city’s response to the storm was a mess. But it would be unfair to blame it on one man. Bloomberg's remarks on the firing today did not do much to clarify things. 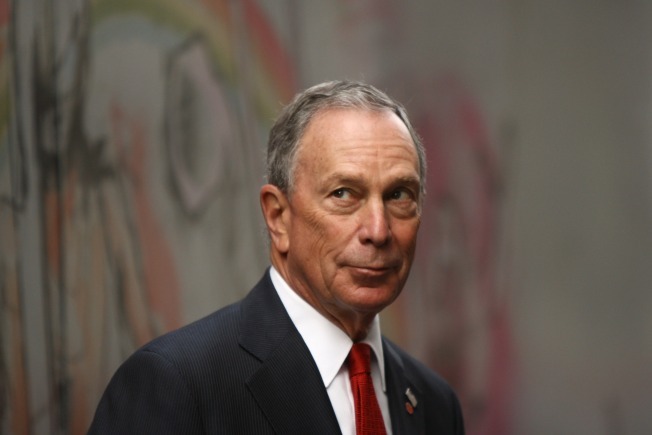 "We did not give the public the service that it has a right to expect when it comes to ambulances," Bloomberg said. We just did not get the service that the public wants." The facts are: an emergency was not declared by the people with ultimate responsibility, at City Hall; the streets were not plowed in timely fashion; cars and buses were left blocking the streets; the 911 system was flooded with more calls than it could handle. Thousands of callers could not get through. A three-month-old boy and a newborn died after EMS crews were delayed in responding to calls. It’s interesting that the Times quotes a city official “with knowledge of the matter” as saying that Peruggia is also being investigated for an alleged conflict of interest in accepting a free trip from a company that provides radiation and carbon monoxide meters to the city. Why this sudden revelation? Is it part of a gangup orchestrated by City Hall? The Mayor reportedly is very angry about the way the storm was handled. But he isn’t insisting on taking the blame himself. There were serious deficiencies in the city’s response to the blizzard. The mess can’t be blamed on a relatively low official in the chain of command. There’s something suspicious here. Clearly, the investigation of the Blizzard of 2010 should be conducted by impartial people. The city has a good ombudsman, Bll De Blasio, but his office is starved for funds. The Mayor, by denying money to this agency over the years, has made it ineffective. The people of New York City need transparency. They need to know who were truly responsible for all the things that went wrong. New Yorkers are a trusting people but they don’t like being sold a bill of goods. They want the truth. And, although it may be hard or impossible to determine who the fall guy should be, they’ll remember this blizzard for years to come.